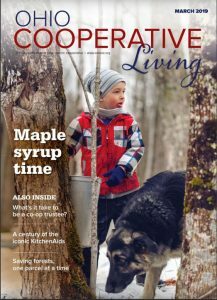 Published by Ohio Rural Electric Cooperatives, Inc.
Ohio Cooperative Living, the largest circulation rural magazine in Ohio, serves as the official voice of the rural electric program in Ohio and West Virginia. Editions carrying at least four pages of local news are sent to members of 24 electric cooperatives. Issues usually consist of 40 to 52 pages printed on coated stock. Editorial content includes feature stories and pictures, news articles about energy supply, use and conservation, a calendar of events, and a recipes page.